At LAU it’s easy to join a club or start a new one. Most activities are organized by clubs. 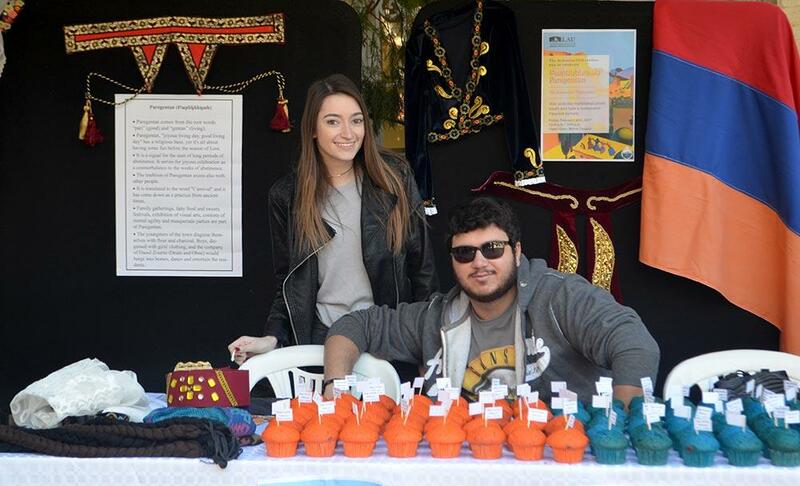 We have dozens of them on both campuses, formed by students who have particular interests and hobbies. There’s an exciting variety of activities year-round, including talks, presentations, workshops, debates, field trips, hikes, social gatherings, awareness campaigns, fundraising drives, community outreach actions, performances, and much more. 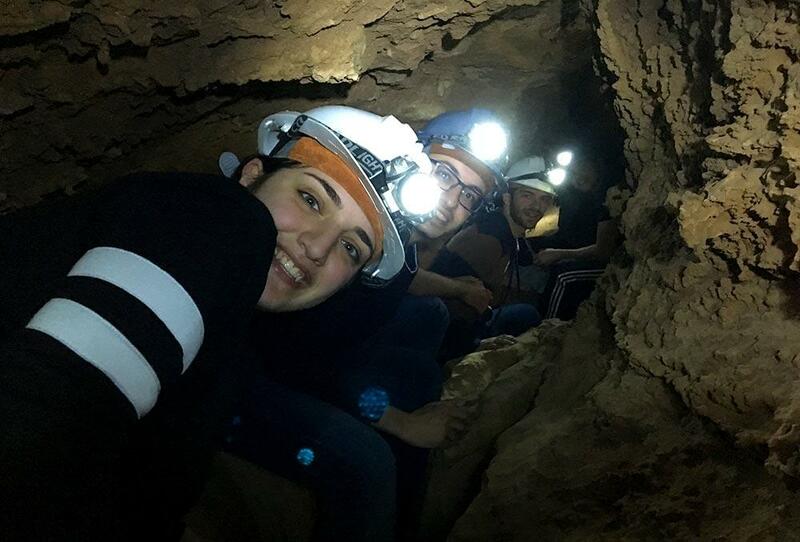 Caving in Afqa with the Hiking Club. Celebrating Armenian Halloween with special cupcakes. 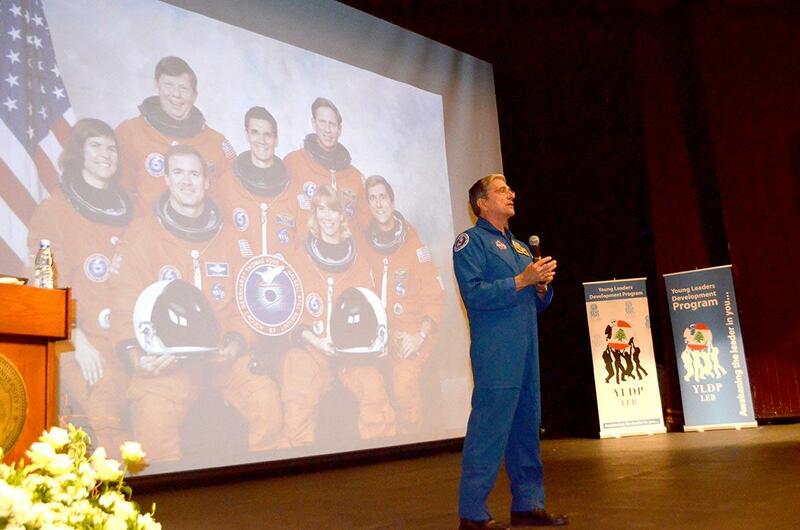 Astronaut Donald Thomas relates his career and gives advice to LAU students. 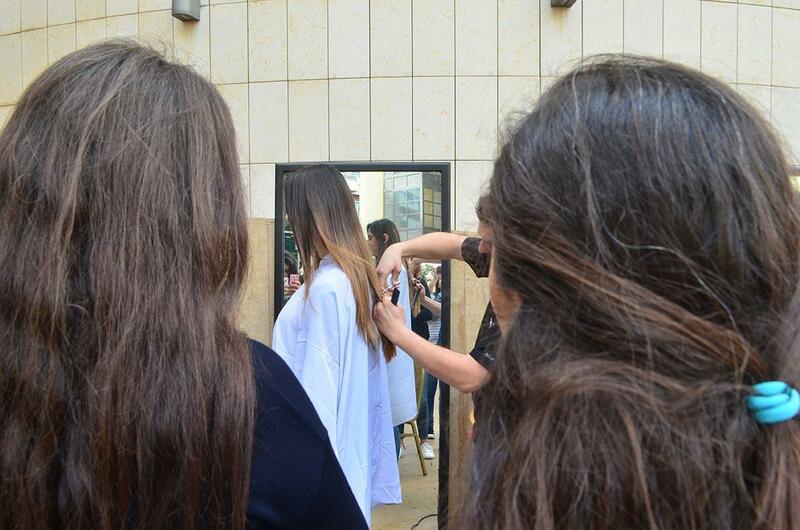 Students donate hair to make wigs for cancer patients. 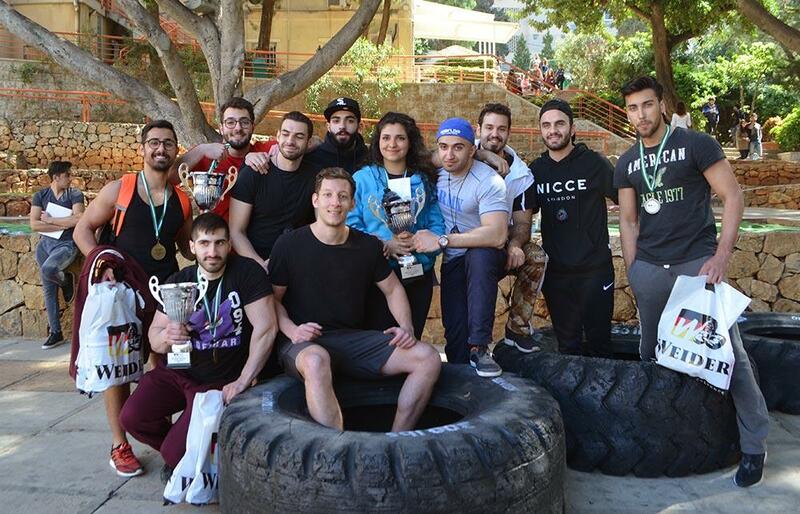 The overall winner of the 2017 “Strongest Athlete” competition was philosophy student Reem Dahduli. 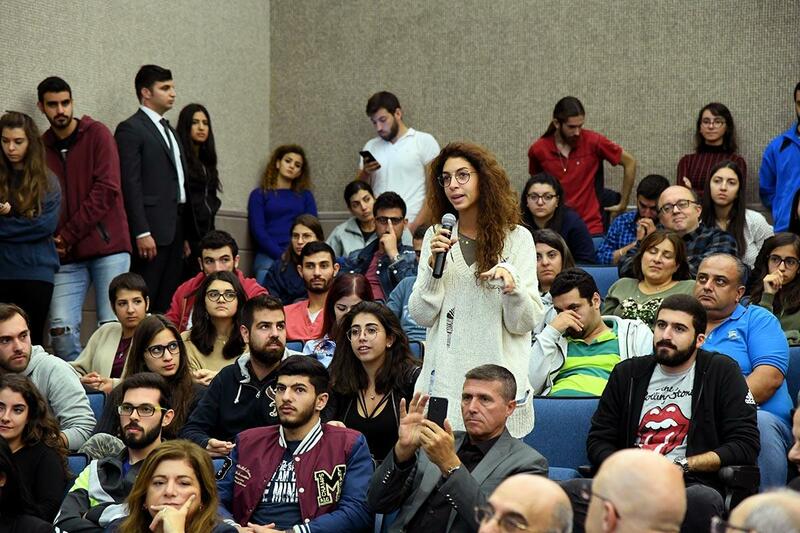 A student poses a question to Major-General Abbas Ibrahim, who heads the Lebanese General Security force. 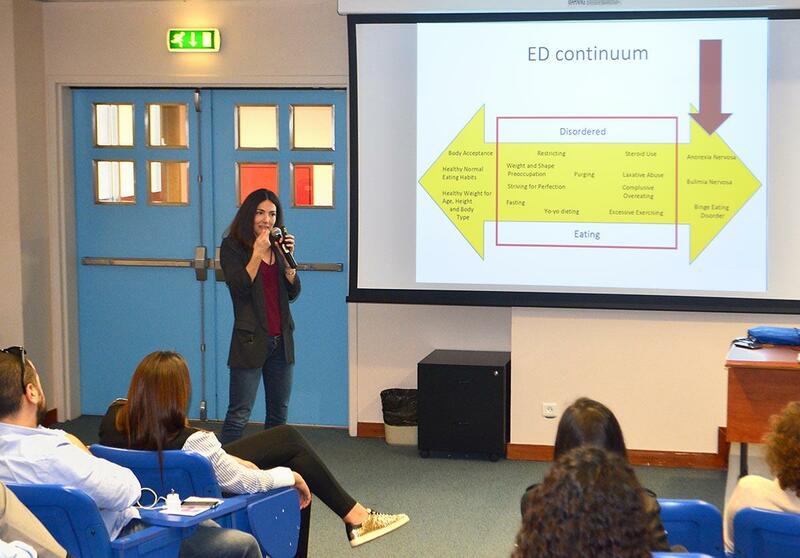 A guest speaker explains eating disorders at a Nutrition Club–organized activity.